I would like to start this post by giving a shout out to the greatest football team ever to walk God’s Green Earth: the Pittsburgh Steelers. In honor of the World’s Best Football Team, I bring you the World’s Best Chocolate Chip Cookie. Each – the Pittsburgh Steelers and the Chocolate Chip Cookie – really are the consummate players in their respective fields – professional sports and cookies. As a connoisseur of both, I do not use the term “world’s best” lightly; so rest assured that these are some seriously good cookies. I had you until #6, didn’t I? Let’s break down the list. #1 and #2 – Use good chocolate and lots of it. 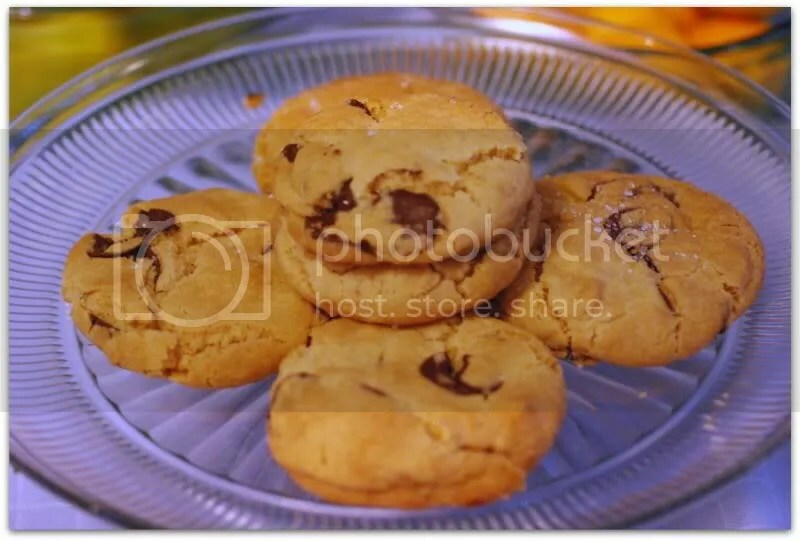 The NYT article features a recommendation for the use of chocolate disks as opposed to the traditional chocolate chip because of how they melt – the disks will melt to create a more uniform strata of chocolate within the cookie rather than the isolated chunks of chocolate the chips create. Also, all contributors to the article strictly adhere to a cacao content of no less than 60%. I’ve tried this recipe with both – disks and chips – and I will vouch for the use of disks over chips. You can find fancy chocolate disks online, but I found mine in the chocolate section at Whole Foods on a trip I made to the Mainland in November. I used the Noel Royale Buttons with 64% cacao content and was quite pleased with the results. #3 – Sprinkle the cookies with salt. #4 – Serve them warm. This really is a no-brainer. While some things do improve in flavor after a cool down period on a wire rack, chocolate chip cookies are so darn good warm because of the ooey-gooey factor of melted chocolate. Let the cookies cool just long enough so as to not scald your tongue – maybe 10-12 minutes – then break one of these in half and marvel at the perfect-looking ribbons of chocolate spanning between your fingers. Yum! These do, admittedly, taste amazing even at room temperature, but do be sure to enjoy some warm straight out of the oven! #5 – Make ‘em big. Making your cookies six-inch beasts will result in this symphony of textures and flavors. #6 – Rest your dough for 36 hours. The science behind letting the dough rest for 36 hours is that it allows the dry ingredients to fully absorb the wet ingredients. When you first mix the two together, your butter ingredient will act as a barrier between the dry ingredients and the wet ingredients. Let the dough rest for a full 36 hours, however, and that barrier is broken down and your wet ingredients get fully absorbed by the dry. 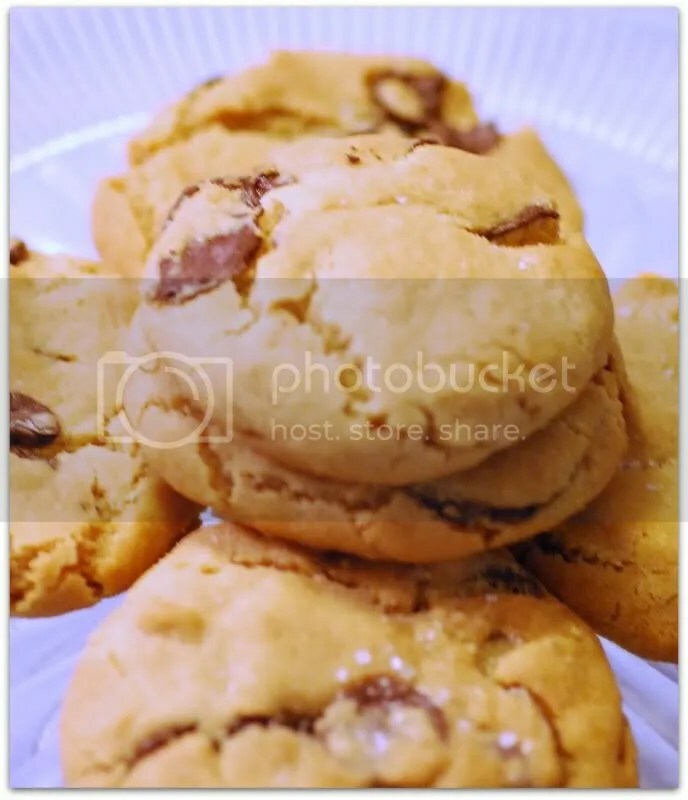 This results in a cookie that has a greater depth of flavor; with caramel and toffee undertones from the brown sugar and a more fully developed appearance of brown when baked. 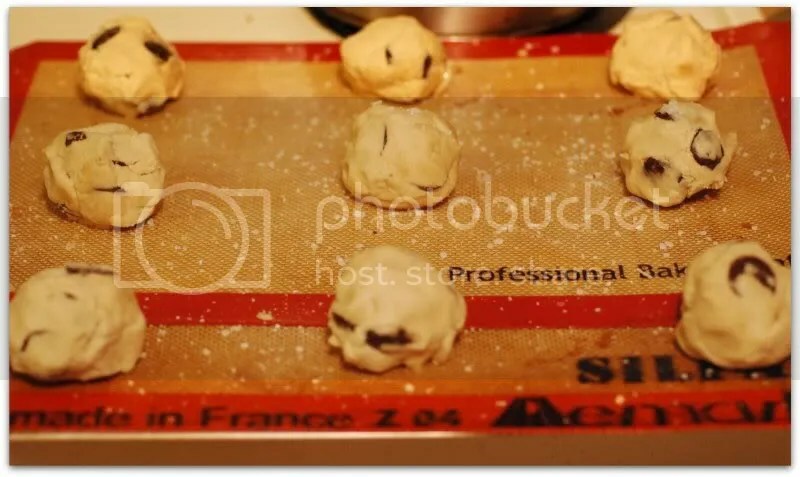 The dough is also a bit more crumbly at this point and holds together much better when rolled into golf ball sized hunks and placed on your cookie sheet. They retain their shape better when baked and what you end up with is a perfect looking – and tasting – cookie. I have made these several times, and a few times I cheated the 36-hour rule – once I rested the dough overnight for about 12 hours and another time I only rested the dough for about 3 hours. You will still end up with very, very good cookies that no one will scoff at – but the magic really is in that 36-hour rest period. 36 hours of rest = cookies that look too perfect to be true. 2. Using a mixer fitted with paddle attachment, cream Earth Balance and sugars together until very light, about 5 minutes. Add canola oil, one tablespoon at a time, mixing well after each addition. Stir in the vanilla. Reduce speed to low, add dry ingredients and mix until just combined, 5 to 10 seconds. Drop chocolate pieces in and incorporate them without breaking them. Press plastic wrap against dough and refrigerate for 24 to 36 hours. Dough may be used in batches, and can be refrigerated for up to 72 hours. I love your analysis of the perfect chocolate chip cookie, I’m totally inspired! I can’t wait to make these! Heck yes! The game was ahhhmazing last night–so tense at the end! And the cookies look like the perfect way to celebrate. I’m a big fan of making up extra dough to sit in my fridge, so I usually practice the 36 hour rule. Well, not with the first few I make, but with the rest. I’ll have to give your recipe a try soon! The Steelers are stinky, but these cookies are bomb. Give them a try and you will see that Vegan delights can be epic. This makes me want to try vegan!! Thank you.